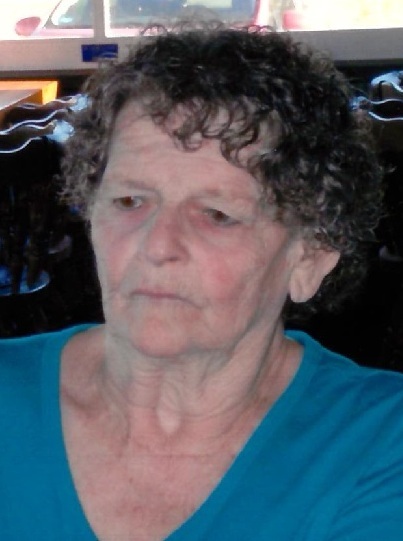 Bridgeport ~ Jackie Lois Deaton, 77, went to be with our Lord Saturday, July 28, 2018 in Decatur. Funeral is 10:00 a.m. Thursday, August 2, 2018 at Hawkins Funeral Home Chapel in Decatur with burial in West Bridgeport Cemetery. Family will receive friends 6-8 p.m. Wednesday at Hawkins Funeral Home in Decatur. Pastor Mark Sims will officiate. Pallbearers include Ronnie Peden, Scott Cantrell, Randy Mallory, Cody Deaton, David Bush, and T.D. Smith. Honorary pallbearers are Ricky Smith, and Heath Sparks. Jackie was born on March 27, 1941 to Raymond and Ruth (Tomerlin) Ray in Mineral Wells, Texas. She was united in marriage to Johnny Wayne Deaton in 1992 in Bridgeport. Jackie was a retired deli manager. She was preceded in death by her parents; and her husband; her son, Jackie Eugene Barnes; her granddaughter, Amanda LeighAnne Chipman; 2 brothers and 5 sisters. Those left behind to cherish her memory are her sons, Ronnie Barnes and wife Vicky of Decatur, Tom Chipman and wife Laurie of Alaska; her daughter, Robbin Gildon and husband Tony of Decatur; her sisters, Alene Bagwell of Stamford, Maxine Tucker of Mineral Wells, Sue Dement of Bridgeport, Sandra Bush of Mineral Wells; 9 grandchildren; 14 great grandchildren; numerous nieces, nephews, cousins, and a host of friends.